A dense fabric that creates no light shadowing. Ideal for a wide range of masking and blackout applications and as a lining. 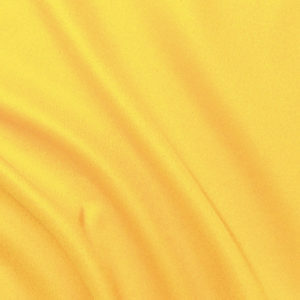 100% Polyester, 122” wide, IFR. 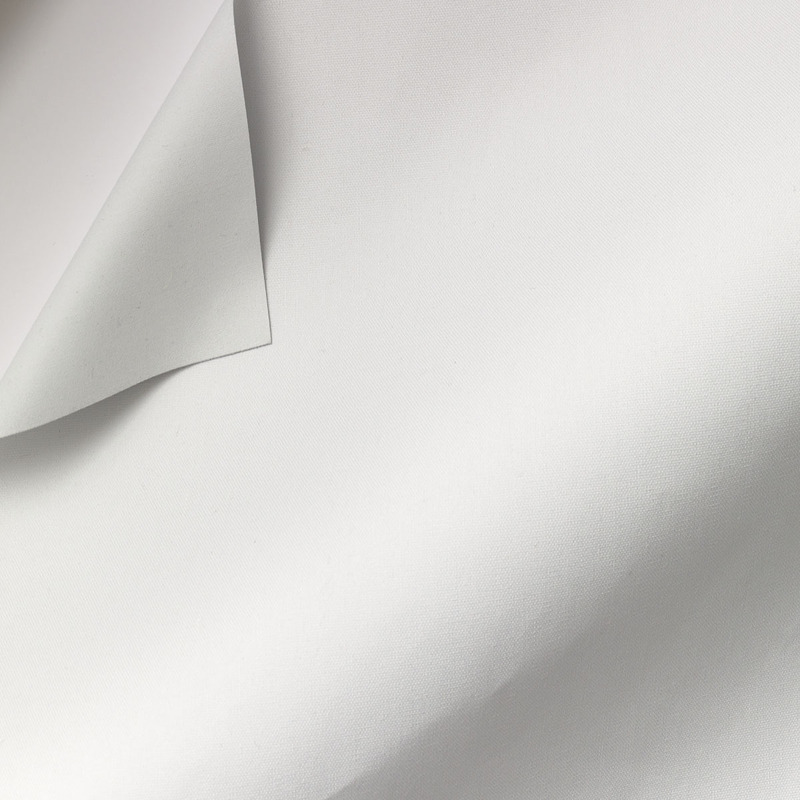 A white double-sided fabric. One side is non-reflective flocked; the other side is coated. 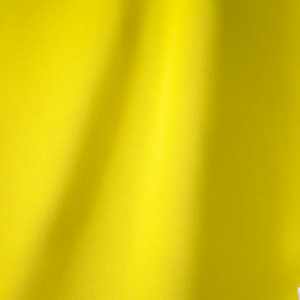 The fabric is very dense, creating almost no light shadowing, yet very supple. 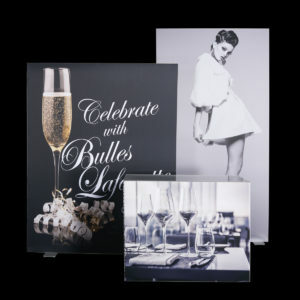 Can be used as blackout drapery or panels, white masking, blackout graphics and other decorative options requiring white fabric with some stretch.